It’s kind of crazy that, in 2018, plus-size shoppers are just now being recognized as customers with buying power who should have as many options as women of any other size. I could go on for hours on this topic, but, we’ll save that conversation for another day. Right now I will just swoon over these brands taking plus-size baby steps in the right direction. Below, we take a look at the newest places to shop that are now catering to curvy women. REFORMATION – they even apologized that it took this long to bring on extended sizes. With pieces like Serena dress and this cool two piece set, we might just forgive them and hope more brands follow suit. ANN TAYLOR LOFT – defintely got it right now that they have realized “no two bodies are like”. We are loving some of their workwear looks and can’t wait to see what they offer next. EXPRESS – Now offering up to size 18 and XXL in some pieces in stores, this is progress we will definitely get on board with. BANANA REPUBLIC – This one made me especially happy as Banana has always had some great workwear pieces. Well, they’ve gone ahead and are now offering items up to a size 20 or XXL. JCREW & MADEWELL – These two players quietly crept into the game but we’re glad to see some more offerings in extended sizes. Especially pieces like this cute romper and dress. NORDSTROM – They have pledged to make every straight size brand they carry include up to a size 18. This has definitely allowed for a lot more options shopping in store and for that we are grateful. Some of my favorite in house brands are BP & Leith. NY & CO – Eva Mendes and Gabrielle Union have cute collaborations with NY & CO. We definitely found some cute summer dresses on the site. DRAPER JAMES – Thank you for extending your sizes Reese! Now this iconic brand is available in larger sizes. They recently did a collab with Eloquii! MARA HOFFMAN – We’re happy to see more designer brands offering extended sizes. While we have always admired Mara’s pieces, It wasn’t until recently we could actually wear them. Sanctuary – Loving their casual, cool, California vibe! 11Honore’ – this one is actually a website dedicated to extended sizes for multiple designer brands. Self described as the runway edited for sizes ten to twenty. Here you can find the likes of Milly, Tanya Taylor, Cynthia Rowley & Zac Posen to name a few. Let me know what you think and who else you would love to see carry extended sizes. 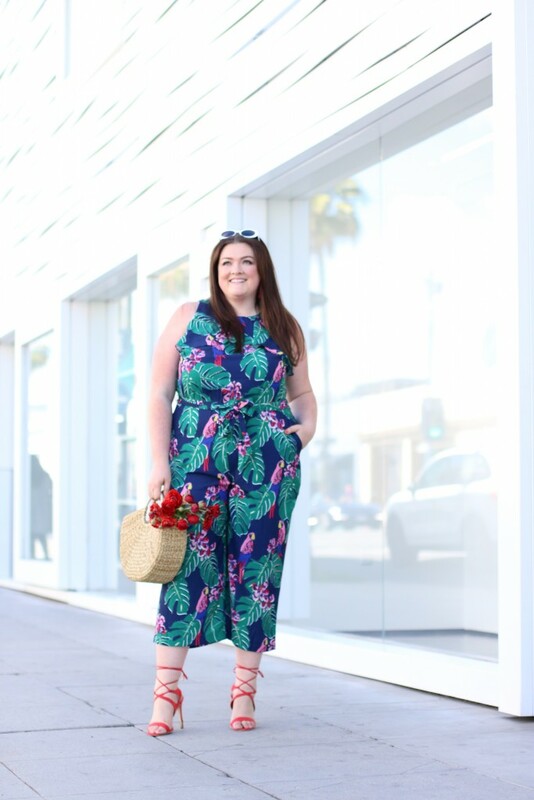 I also wrote about how to shop straight sizes when you are plus here! Your original posts was one of my favorites. Some time I don’t have any other easy options except to shop straight sizes so I must be creative. I am glad you liked it!! Amazing collection! Thanks for sharing. Please Update more. Need to bookmark this so I can come back and do some shopping!! At least it’s a step in the right direction, but still sad when they stop at XXL or a size 20 thinking they have us covered. Baby steps I guess!